Simply put ‘digital signage’ is an electronic display device which is used in and outdoors to present constantly changing, computer generated information with full motion video, text, and animations. 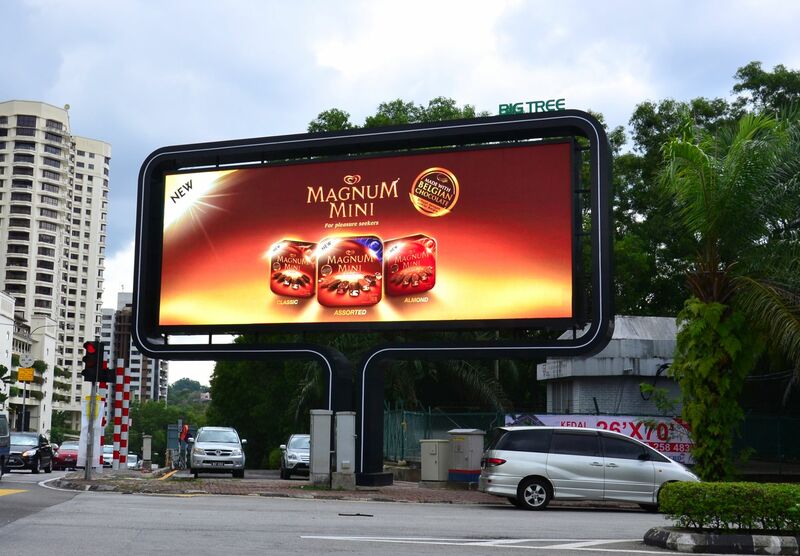 Digital signage is considered to be a dynamic billboard or poster. You can call it captive audience networks, digital signage, electronic display networks, digital dynamic signage, narrowcasting, data casting, digital in-store merchandising, employee TV, captive audience networks, out-of-home media networks, retail TV, digital media networks, electronic billboards plus other terms one things is true, it’s here to stay. As stated earlier, digital signs are used to display a variety of applications and technologies that extensively help in the advertising and promotion of a business. You’ve probably seen digital screens showing up in many places such as super markets, public transportation, etc. In general it can be said that digital signage completely refers to an electronically controlled screen or sets of screens which can be remotely updated over the internet without any cost or expense of changing the physical posters. Therefore it is very easy and cost effective to change your targeted message and can be updated on hundreds or thousands of displays at a time. This new industry has led to product innovations to project images and video directly on the store windows using a reverse image screen. It is very important to use the right digital signage software package to ensure that the correct message should appear at the right time. The main advantage: A digital sign has the ability to update content and deliver your specific message to specific audiences at specific geographical locations every time and on time! Making Money for a Change: If your location has a viable market for advertising you can now sell ad space to recoup your cost of installation. Additional revenue streams are SMART! Command Customers Attention: A digital sign has the power to stop and get your customers attention through motion and sound just like a regular TV but the location of the screen is at a more opportune moment. For example: let’s say you have a business selling a variety of paint from different manufactures all on one shelf. Customer ‘A’ walks in and needs paint but not sure which manufacturer to go with and would like more information. With a digital screen over that isle providing more information to your client while they wait for you to finish up and greet them, they can be watching a short paid advertising presentation from one of your manufacturers. Studies are proving this form of advertising influences purchasing decisions exponentially! Quick and easy update of content: The content of a digital signage system can be changed at various locations and on a predetermined schedule from one central design station by utilizing the internet. Further information can be found by looking for digital signage online to find companies offering different products and digital signage software packages. As the price of computer hardware continues to fall rapidly I think you’ll continue to see more and more digital screens popping up in unexpected places!